cBackup is free and open source software now and always. Both core software and additional content are distributed free-of-charge without hidden payments nor functionality limitations. We develop this product in our free time being strongly convinced, that open source development is the reasonable way to boost progress and to make a case for ourselves as developers and administrators. As the chart on the right side shows, we're converting problems and coffee to the solutions you can download as a source code. Of course, you can help us perfecting cBackup by reporting issues, providing access to new equipment and offering insights. But donation for the second ingridient also will be highly appreciated. 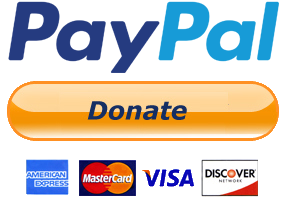 If you find the software we are creating handful and useful for your personal or business needs, you can make any donation you find applicable. We would be sincerly thankful for any sign of appreciation for time and efforts we have invested in cBackup. Here we will post a list of the latest donations with related comments. List of top supporters with backlink most likely will be available as well.